Random Facts from the Founding Days of Everett, Washington by Aileen M. Langhans, long-time resident of the Historic Bayside Neighborhood, is a collection of historical facts from the early days. 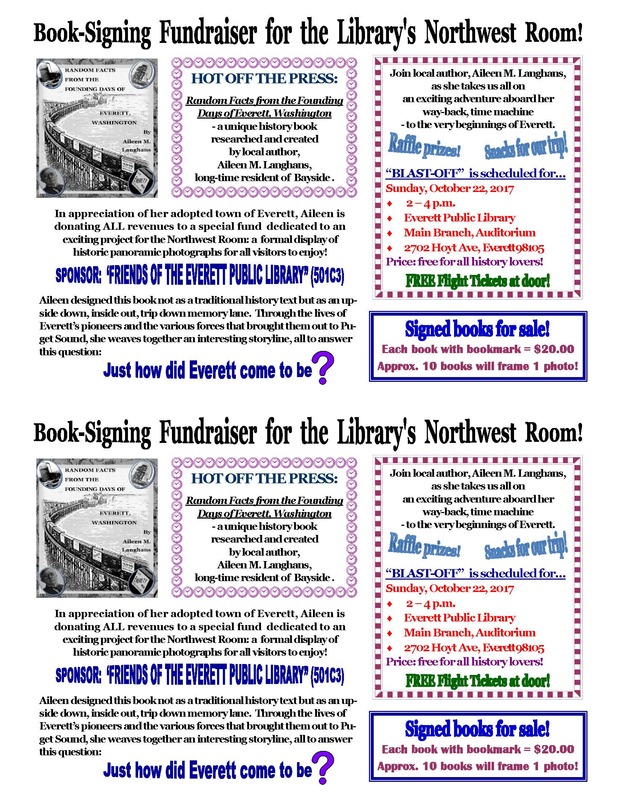 It is a glimpse into Everett’s past and includes: biographies of Everett’s personalities; historic sites, events, and groups; poetry and photography; and Everett’s history as recorded by the original history makers. 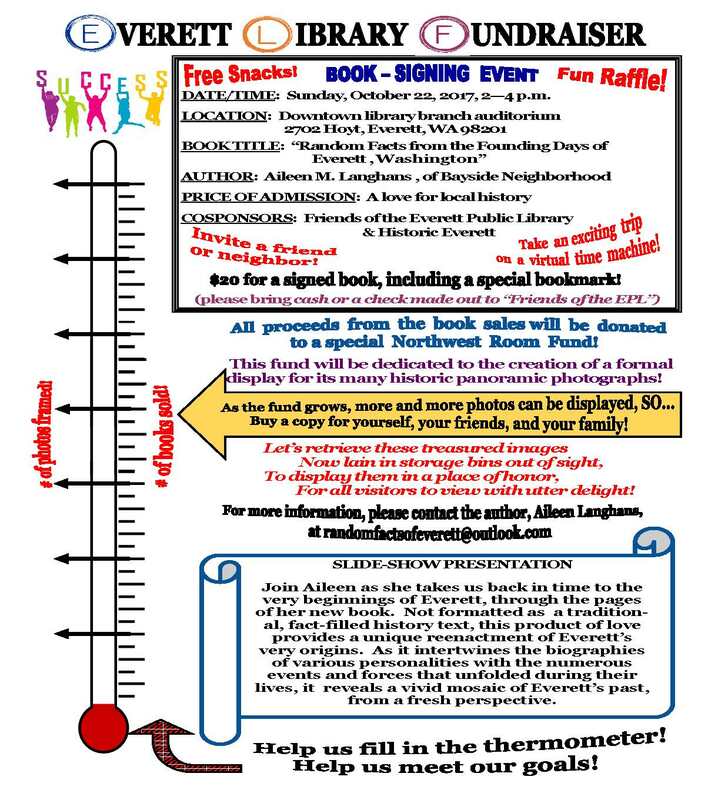 This book is being published as a joint fundraiser with the Everett Public Library. Revenues will be used to create a formal display, celebrating their collection of historic panoramic photos, which have been in storage for years. The framed images will be placed outside of the Northwest Room for all visitors to enjoy. Let’s show our support!